Can someone please identify these toys for me? Who are these characters? What are they from? 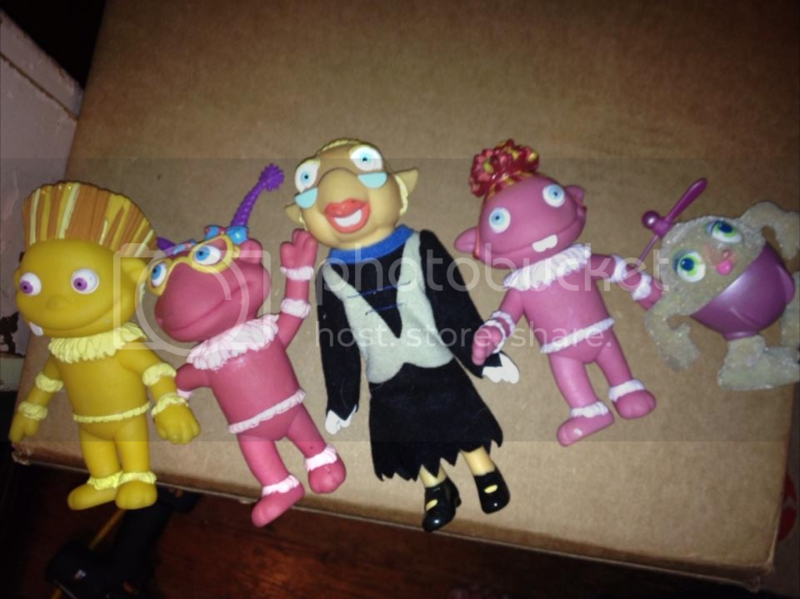 Re: Can someone please ID these toys? Who are these characters? The flocked one is Creaky the Sleep Creep from Moon Dreamers. The others look like they want to be Muppet characters. Do they have any manufacturer's marks on them?